Are you familiar with our parts and repair site softservestore.com? This is your one-stop-shop for all the frozen yogurt machine parts and equipment you need to service your Spaceman USA or Forte machines. We don’t just have parts. We have everything your shop needs from topping dispensers to sanitizer and lubricant. Having the parts you need on hand is very important. 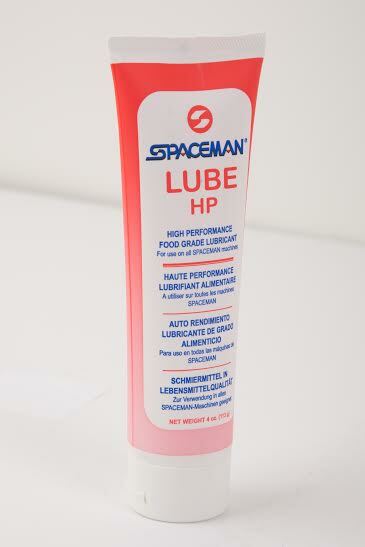 There are certain parts of all Spaceman USA machines that need regular replacement. Think of it like doing maintenance on your car. If this maintenance isn’t done and you call a service tech, your warranty may be voided. Worse, if you put off the job for too long then you could break the entire machine. A faulty o-ring could make product leak into the machine. Bad beaters can cause ice crystals in your mix and strain the compressor. That’s just a couple of the problems that could start. How do you know what you’ll need to replace? Your owner’s manual will tell you the parts, but most Spaceman USA machines will just need our tune-up kit and some machine lubricant and sanitizer. The manual will walk you step-by-step on what you need to check in your machine and what to and what parts need to be replaced. It isn’t very difficult at all. In fact, if you live near Boulder, CO, you could even come to our corporate headquarters for a demonstration. If you have any questions on parts or what parts you should always have on hand please call 1800-610-5520 and ask for the parts department. One of the deals that we offer is our quarterly maintenance kit. For $75.99 a quarter plus shipping, you’ll get a replacement parts kit, lubricant tubes, and replacement scraper blades. We recommend that user-serviceable parts be replaced every quarter for best performance. We also sell other machine parts if something really goes wrong. If a draw valve goes bad or your door gets cracked, we can get you replacement parts. Need a brush kit for your machine? We have those as well. Sanitizer? Got that too. If you have a Forte machine, you can find all the frozen yogurt machine parts you need for models SS100B and SS100 in our shop. Our sanitizers and lubricants are compatible with these machines. Your frozen yogurt machine is a valuable investment. Don’t let maintenance issues wreck your machine or your business. Take care of it by following the proper maintenance procedures. Your frozen yogurt machine will run better and your product will tastes better as well. There’s nothing like the taste of the first batch out of a machine that has just been serviced with new parts. For additional information and products visit softservestore.com.